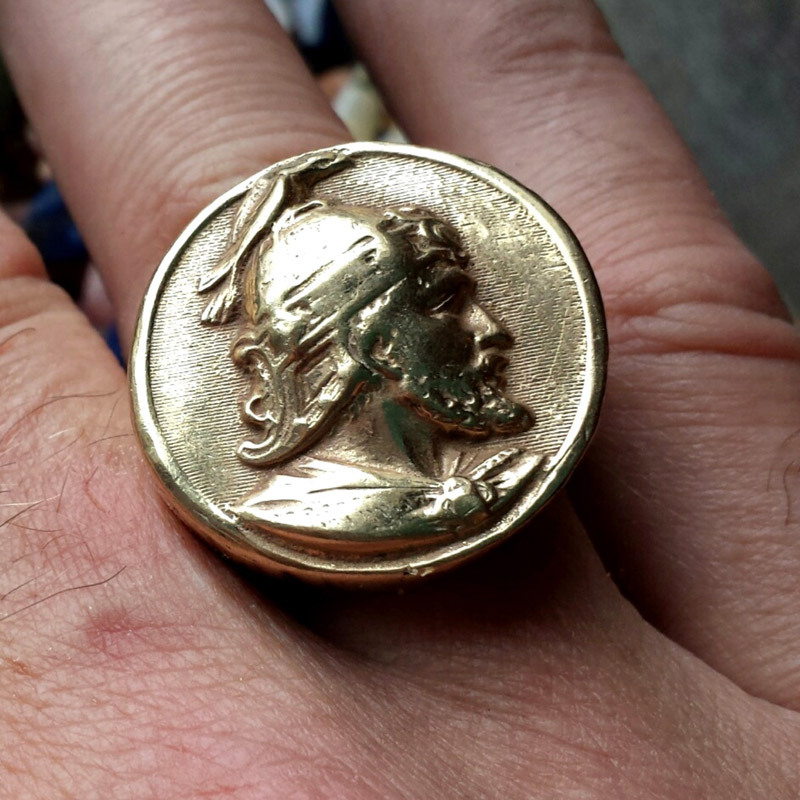 Large, most unusual 10k yellow gold men's signet ring with a relief of a helmeted ancient warrior figure. Helmet has a bird of prey perched on it. 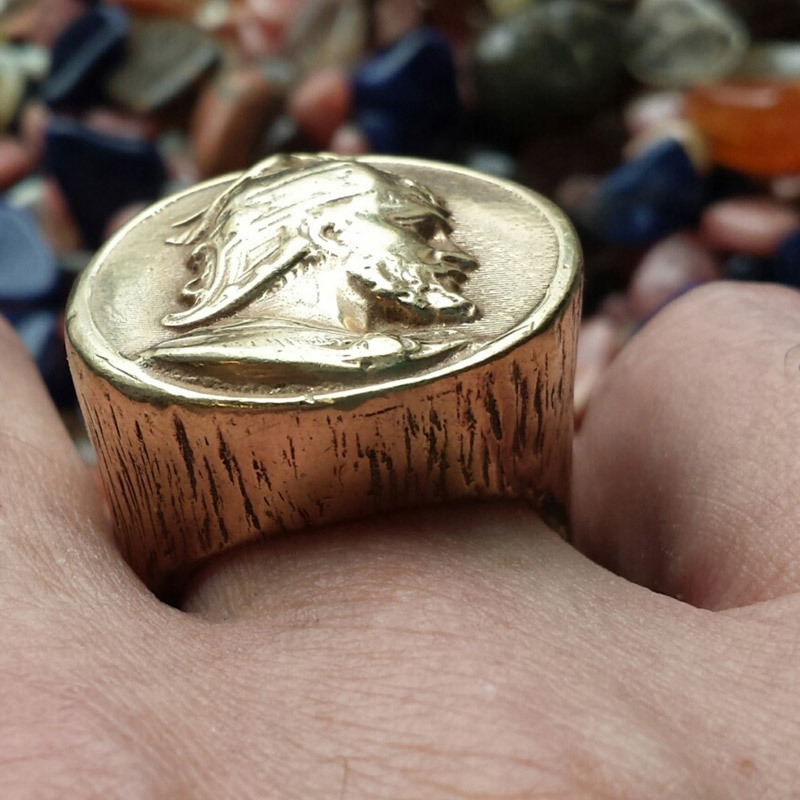 The warrior figure appears noble. 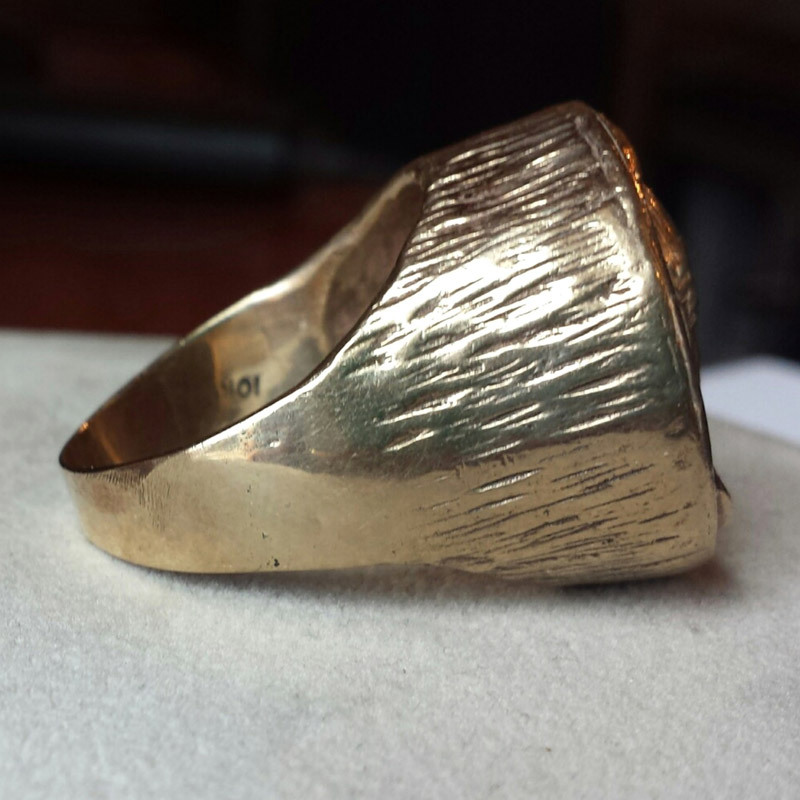 This ring was most likely custom made and one of a kind. We were unable to research anything similar to it. 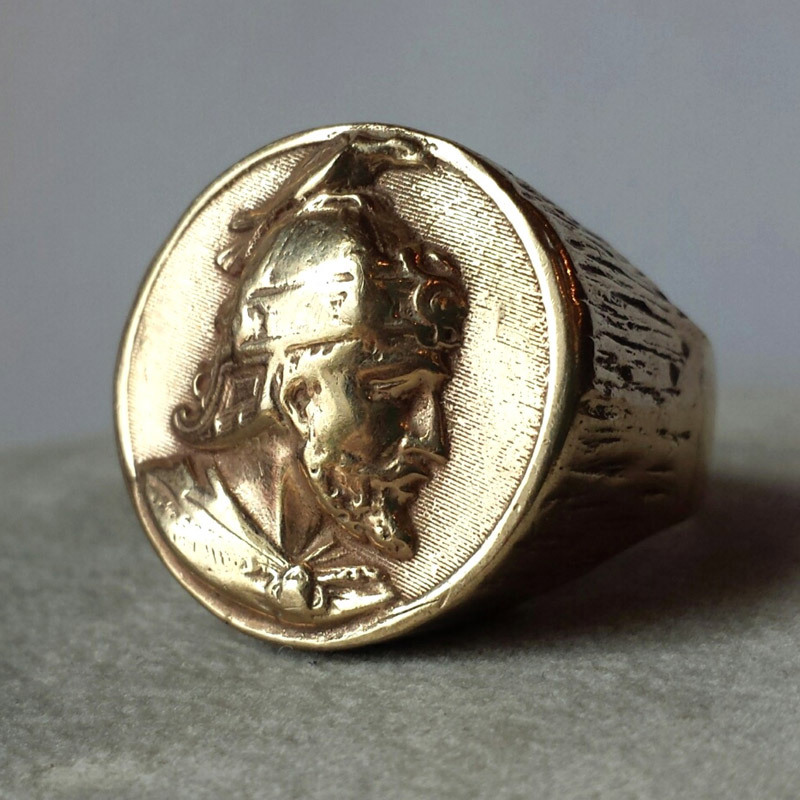 The face of the ring is 25mm in diameter. 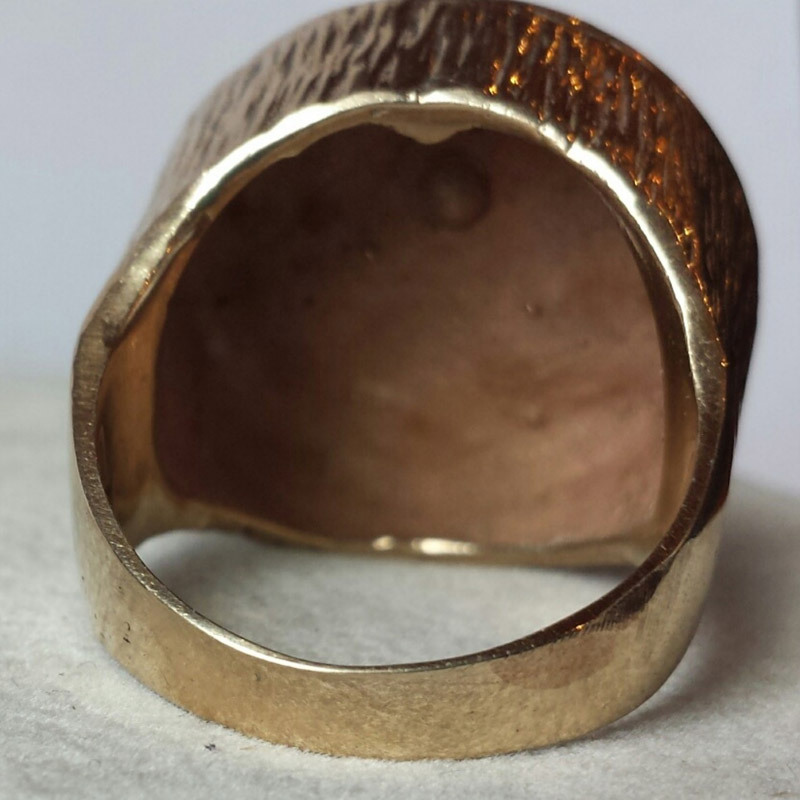 The height from the finger is about 9mm. Weight 27.3 grams. Finger size 11.5.